If you want to make your eyelashes thicker and thicker or have glamorous big eyes, the answer is definitely YES? 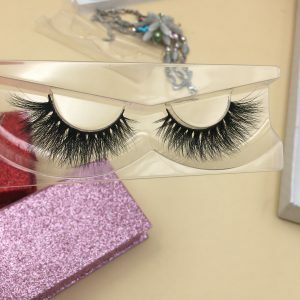 The following professional affixing method of 3d Mink Eyelashes teaches how the Mink Eyelashes 3d are natural and beautiful, and will not fall off all day long, so that you can easily have charming big eyes. The first step is to find the perfect 3d false eyelashes that belong to you. 25mm strip eyelashes come in a variety of styles, natural, dramatic and serious. 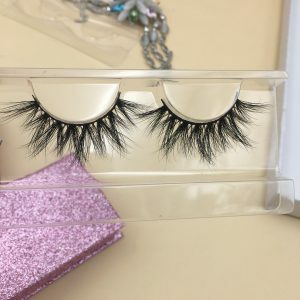 Choosing the 3d Siberian Mink Lashes with short sides and long sides will make you look more lovely and intimate, ideal for 3d fashion eyelashes when dating. It is very important to bend your own eyelash curler with the eyelash curler before you put on the 3D eyelashes. As close as possible to the lash root clip, and in order to achieve the best results, you need to clip twice in the same place. Next, apply a layer of mascara to the clipped eyelashes to lengthen your eyelashes. Before you apply glue to the false eyelashes, first measure whether the length of the false eyelashes is appropriate for the length of your eyes. After the comparison is good, cut off the excess from both ends. Apply glue to the eyelashes, preferably from the sides to the middle, then let themink lashes glue dry on it for 1 minute or 1 minute and a half before applying the glue, so that the glue is more viscous. Use a pair of tweezers or a hand to pick up the 3d eyelashes from the inside to the outside, but the eyelashes tweezers will be more precise. If you find that something is not attached, you can adjust it quickly because the glue is not completely dry at this time. Use a small make-up brush to apply some glue to make eyelashes glue to these places. If you feel uncomfortable, use a dry mascara brush to comb the uncomfortable area and brush the excess glue so that the eyes feel comfortable. Once the 3d mink eyelashes are attached, you can finally brush the mascara again, so that the overall look is more consistent and more natural. In this way, the hand made 3d eyelashes are attached, enough professional enough natural? Have you learnt that?